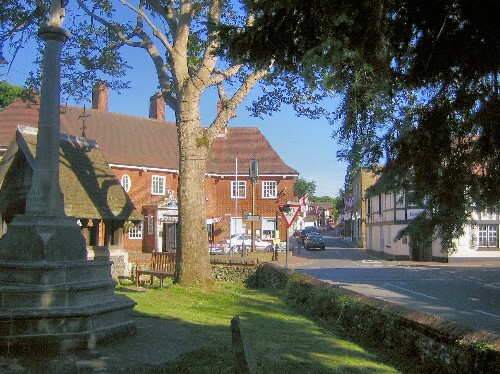 Who is in the Bookham Neighbourhood Plan Area? There has been some discussion about who is in and who is out of the Bookham Area. The definitive answer is that if you vote in Bookham, then you are inside the Plan Area. The Area is not postcode specific, so some people who have a Fetcham postal address, for example, will be included in the voting for the Neighbourhood Development Plan (NDP) because they are in the Bookham political wards. With the power of Podio, our crm software, our team can effectively work together from anywhere, to escape email overload, and alleviate document chaos and much more. Get structured with Podio's easily modified workspaces and apps, so you and your team can work the way you want to. How to download a file: Double-click the pdf file required, a panel will appear in your browser asking you to click on Save or Open, whichever option you choose, wait for the pdf file to be downloaded (this may take up to 1 or 2 minutes depending on the speed of your internet connection), the security panel will then advise you to open or view the pdf file in your browser. You may then save the file onto the hard drive of your computer if you wish to retain a copy for ease of reference in the future. Published in March 2012: Urban Vision's Quick Guide to Neighbourhood Planning - definitely worth a read! Mole Valley Planning Dept, Newsletter about the Local Development Framework. A comprehensive guide to Neighbourhood Planning as it stands at late 2011. By Neil McDonald, a member of the Vanguard Start-up Group for Bookham.